One of Ghana’s favourites and most celebrated actresses, Yvonne Nelson has said ‘all that glitters is not gold’ in her circles. Her statement comes following a recent social media troll regarding her slippers. 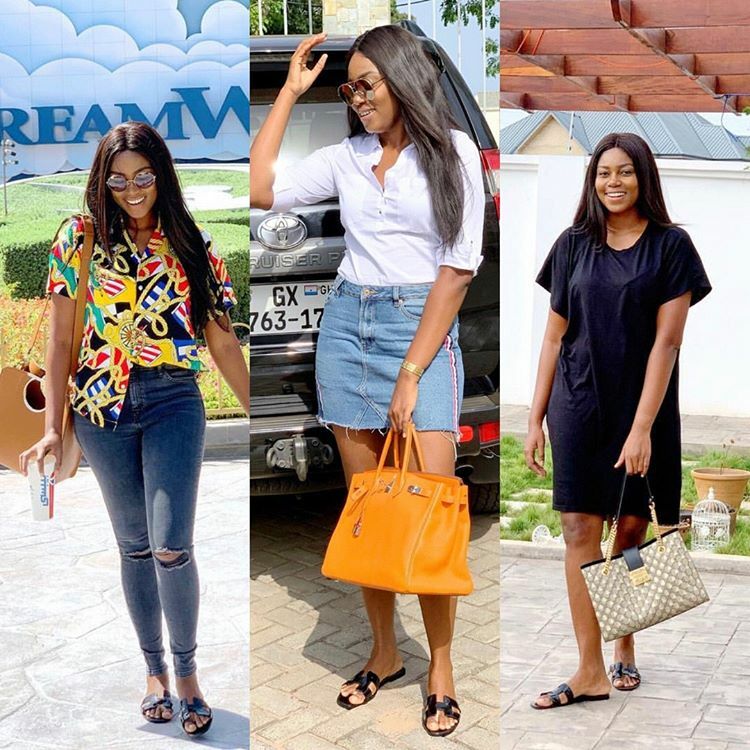 Yvonne Nelson has been harshly criticised on social media for wearing one slippers for different occasions. But she says wearing of different slippers is too much work for her and that it doesn’t define her real life. According to her, she lives in a better house which she built for herself, and young people shouldn’t be fooled by what they see on social media. She stressed that most of the celebrities who live flashy lifestyle on social media are living fake lives so people shouldn’t be fooled.